According to an IDG Connect survey, 86 percent of B2B IT buyers are currently using social networks in their purchase decision process Tweet this! so it’s certainly worth your time. Social media in the b2b realm has its own “rules of engagement:” opportunities to seize, best practices and landmines to avoid. Social presence should also walk in lock-step with corporate strategy. Tweet this! Marketers must consider all of this as the team endeavors to maximize the value of the investment of time and resources to generate measurable results from social media. Just because an individual is themselves social or on social media doesn’t mean they’ve mastered the orchestration skills of b2b social outreach–as many marketers discover when they try to translate personal social media skills into a more public conversation. Before launching into a flurry of scattershot Tweets and LinkedIn posts, consider commissioning a social media audit to support your content marketing. What should a b2b social media audit include? Give you a sense of the “size of the pond” you’ll be playing in–how many people in your target audience ARE on social? An audit gives you your runway in numbers of people. Demonstrate competitors’ presence, and voice, in relevant social channels. In some cases this renews a latent, high-value conversation on exactly who your competitors are–and identifies conversational opportunities for your firm. How many LinkedIn followers does your “best” competitor have? Tweet this! Reacting to real numbers like these clarifies obtainable goals for your b2b social campaign. Identify where, and measure how deeply, social media conversations relevant to your cause and top markets are happening (think LinkedIn groups and Twitter hashtags). Identify prospects, media members, opinion leaders and even new markets and audiences active in the spaces with whom engagement is needed. (In the healthcare space, think providers, patients, payers and advocacy associations, for example). If your b2b social presence is stagnating, needs some spicing up to support your sales strategy, or if you’re just not sure how to leverage the asset that your social presence has the potential to be, we want to hear from you. 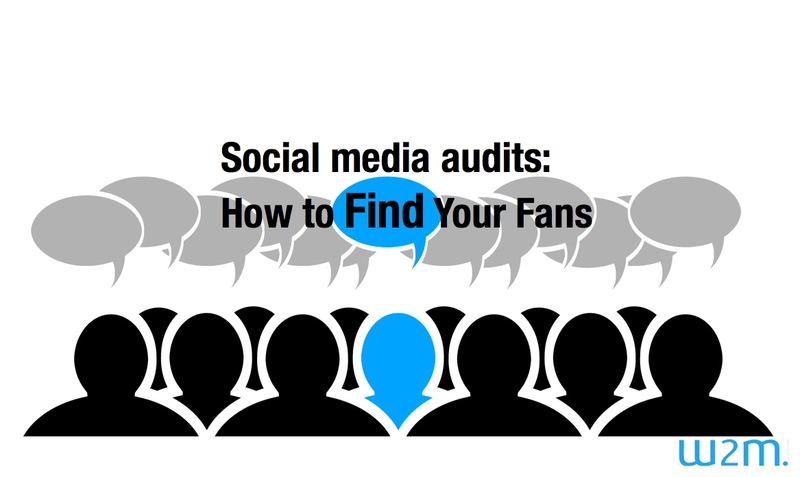 Consider jump starting your program with a b2b social media audit Tweet this! like the one we’re describing. Connect with me and Write2Market and I can show you how it works in action. Twitter: @write2market or give us a shout at 404-900-7722. Previous PostAre you measuring the right marketing metrics?